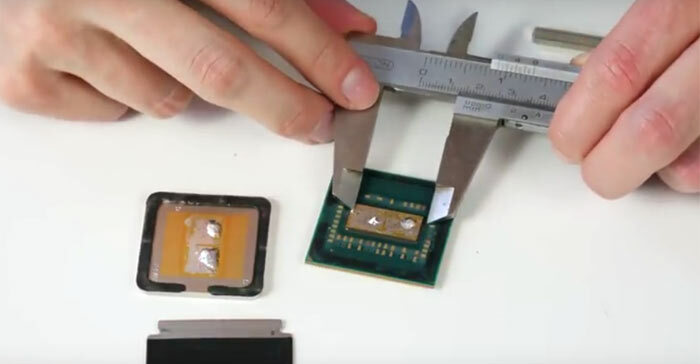 World famous overclocker der8auer has published another fascinating video, getting under the skin - but not in an irritating way, of the CPU business. 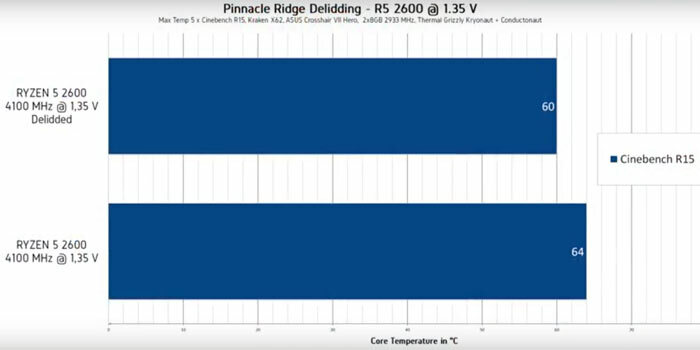 In his latest YouTube episode der8auer wanted to see if there were any benefits to delidding one of AMD’s latest Pinnacle Ridge chips. In the video an AMD Ryzen 5 2600 was delidded. Der8auer used a slightly customised version of his own design Delid-Die-Mate 2. The heatspreader was warmed up to between 170 and 180 degrees celcius – the temperature range within which Indium melts. The application of this high-ish temperature might be worrisome, but in-balance it is less likely to cause damage than the great mechanical force required to remove a cool heatspreader. 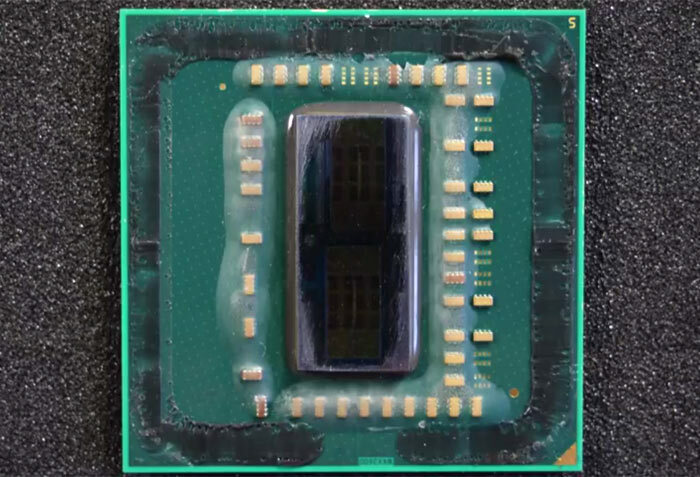 Der8auer successfully completed the risky looking delidding process, cleaning up and replacing AMD’s Indium solder with his favourite liquid metal thermal interface material (TIM). Interestingly, der8auer observes that the 12nm Zen+ die size is identical to the die size of AMD's previous-generation 14nm Zen processor. Now it was time to test the delidded processor, to see if there were any temperature performance gains to be had. In subsequent tests the delidded processor did provide better thermals, but rather marginally. The liquid metal TIM modified AMD Ryzen 5 2600 with NZXT Kraken X62 CPU cooler, running at 4.1GHz and 1.35V, ran Cinebench R15 and peaked at 60 degrees – that’s 4 degrees less than the stock processor with same cooler/settings - see below. Overall der8auer admitted that it probably it isn’t worth the effort for a consumer to delid an AMD Pinnacle Ridge CPU. In contrast, some other processors benefit greatly from such mechanical surgery. Another plus for AMD. Been tempted to replace my Skylake.